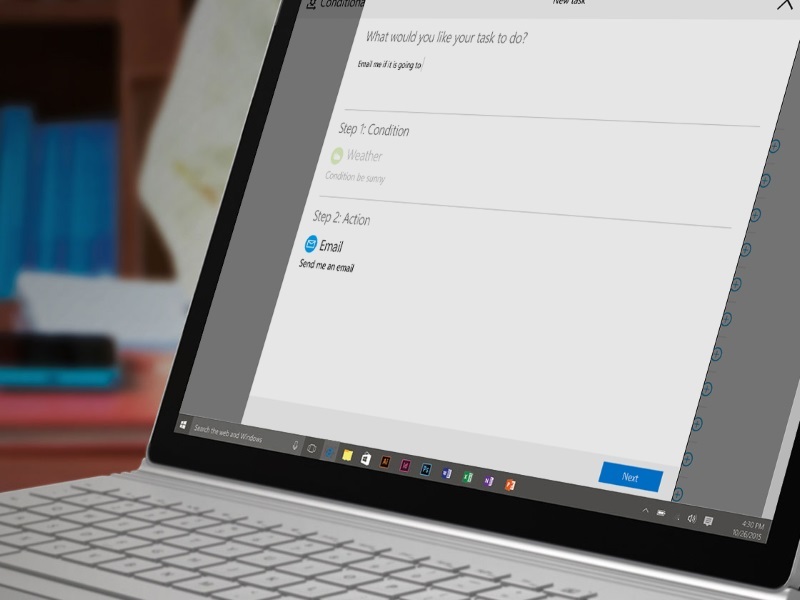 Just two months after launching its automated workflow tool Flow, Microsoft on Saturday, launched another alternative to IFTTT (If This Then That) named Conditional Action Programmer. Only this time, it is not as business-oriented as Flow, and you can even use your voice to tell CAP what you want it to do. For those who are unaware of the term, IFTTT or If This Then That is a tool that connects several Web services and apps, and allows users to create workflows that perform a function if a certain condition is met. Microsoft’s new alternative for IFTTT has been showcased for its use out of business world. The examples mentioned are the likes of “Text me the forecast every week” and “Save article to pocket”. Notably, CAP is an experimental project from Microsoft Technology and Research, and is available as an app for Android via Google Play, as well as on the Web. It is linked with services like Office Pocket, SMS, Stocks, Weather, Office 365 email, and OneDrive for Business. The most unique thing about CAP when compared with Flow is that it uses LUIS project to process natural language. In order to set an automated workflow, all you need to do is just give the command by speaking it aloud. The command is then interpreted and developed in to the conditions and the goal required for the workflow routine. As the company has years of experience in voice recognition, thanks to Cortana, the service seems to be working fine according to reports.